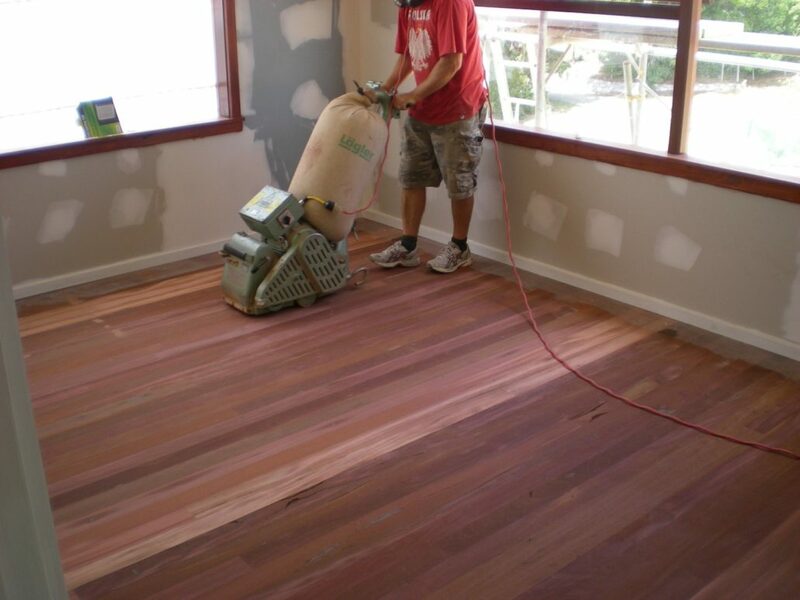 When it comes to having hardwood floors, you need to know what to expect when it comes to having them refinished. This is something that can restore them to their former beauty. If you have hardwoods, but they’re looking dull, scraped and chipped then it might be time to consider having them refinished for the life of your flooring. The room must be completely cleared out for the work to begin. Sometimes the flooring contractors will ask you to have this done ahead of time. Since the process takes a bit and it can become messy, it is recommended that all items are removed from the room. The floor will be sanded down. This creates a lot of dust and debris throughout the room. You don’t want to worry about this landing on items or having to breathe it in. Usually ventilation is used while this is being done to ensure that the area has the proper airflow. Once this is done, the flooring and room will be cleaned up before the next process is started. They want to make sure that the entire bit is cleaned up so it is not stuck to the floor with the stain. The floors will have to be stained once they’re sanded down. This is essential to ensure that they’re holding the right color and have the right finish to them. Since this part has a strong odor, it is recommended that those stay away from the area and that it gets the right ventilation. After 24-48 hours from finish, the room should be completely aired out. The items can then be returned to the room and the room can be used once again. However, it is recommended to speak with the flooring contractor regarding any special instructions they might have for you during the hardwood floor refinishing process. Want to get started on the process? Just fill out the form below and we can send you information on the local flooring contractors that are able to help you achieve the best hardwood look. Contractors Today is always here to help!